Do more, and be more effective, in less time. Keeping top-of-mind is key for Financial Professionals, for both the growth and maintenance of a successful practice. From prospect nurturing to client relationship management, a steady stream of worthwhile communication is absolutely essential. 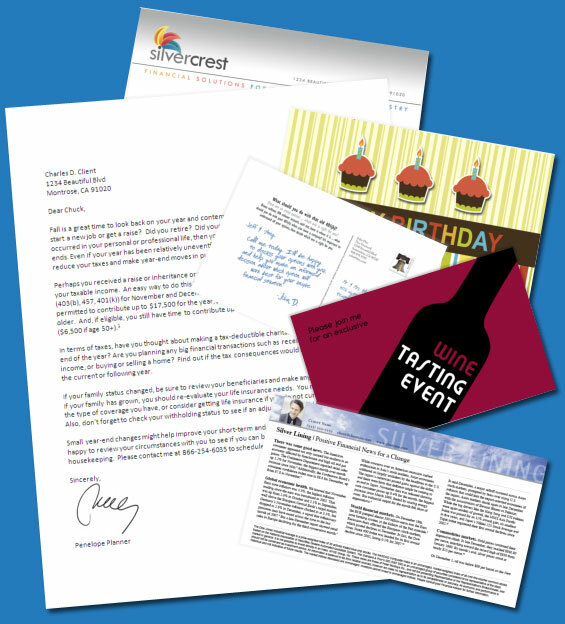 Too many Financial Professionals spend too much of their time writing and sending out marketing and communications. Others spend too much of their money hiring outside help to do it for them. Marketing automation allows you to spend less time, yet do much more. What is it? In a nutshell, it’s working smarter, not harder. Developing a robust, ongoing marketing and communication plan, and utilizing technology to execute it for you – so that you can focus on why you got into this business in the first place: to help your clients. “Set it and forget it.” It’s not a hands-off approach. It’s a hands-ON approach… with thousands of extra hands. The full range of tools, content, and compliance to help you succeed and save time. 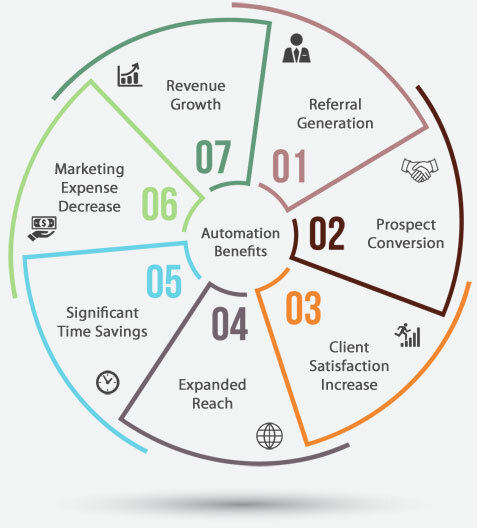 What can marketing automation do for your practice? Marketing automation is simply an essential tool for today’s Financial Professional. Clients and prospects want more – more meaningful contact, more nurturing. Whether to seek out qualified prospects, maintain existing client relationships, or both, marketing automation is the key. How has marketing automation helped others in the industry? Test drive the MarketingPro system FREE for 30 days!